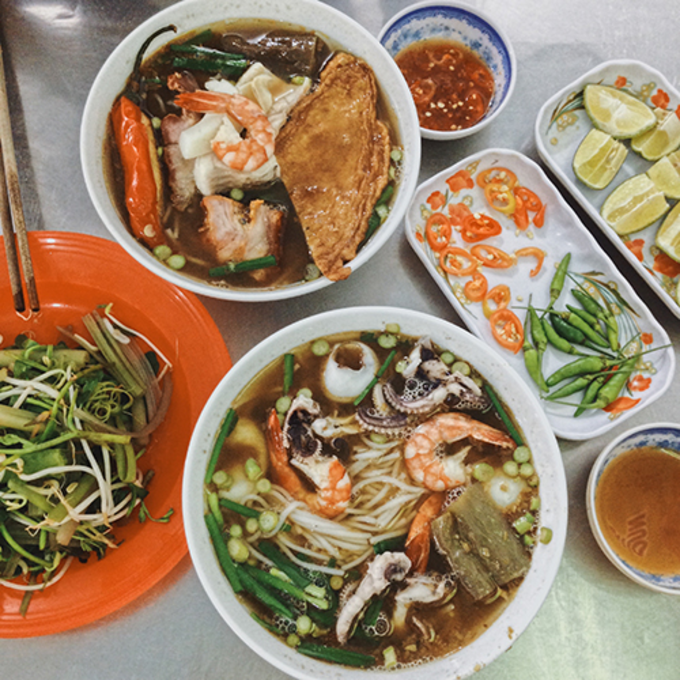 There are as many varieties in the Mekong Delta as there are noodles in a bowl, all delicious; check out some of the best. 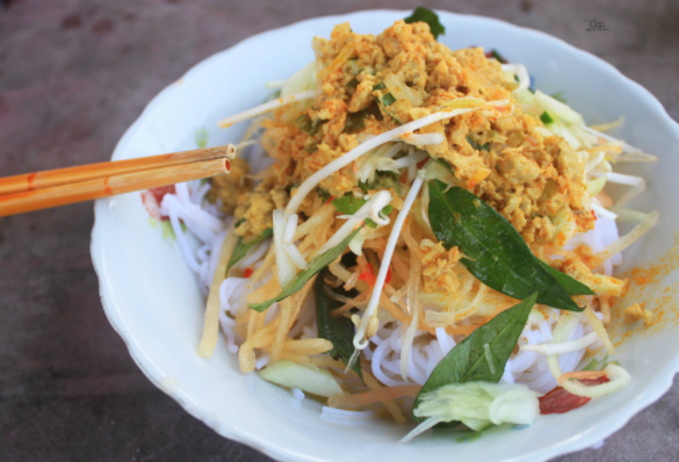 This popular dish from An Giang is actually a Cambodian creation. The broth is spiced up with fermented moustached danio fish sauce and mam ruoc (fermented sauce made from acetes, a small variety of shrimp) which give it a rich flavor. Some restaurants add pork bones to sweeten the broth. A little crushed tumeric is also added, giving it a hint of yellow. 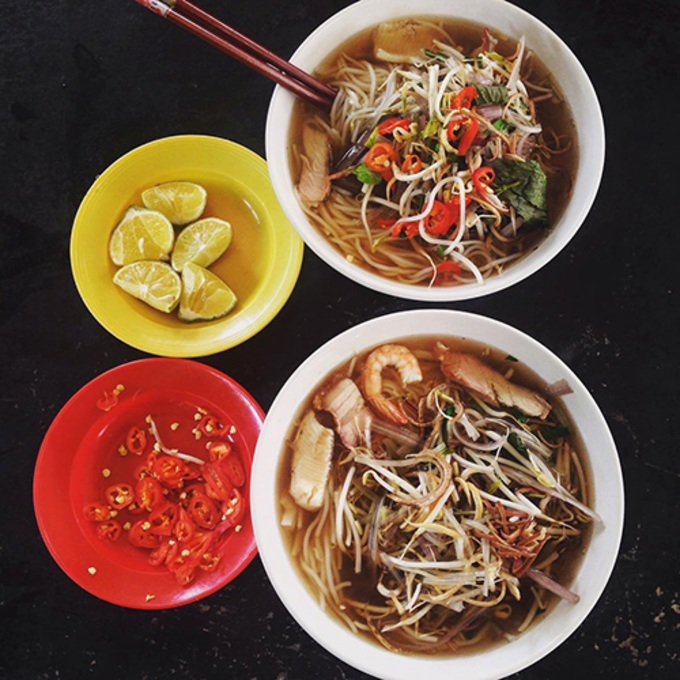 This fish noodle soup is usually served with a variety of vegetables, including Egyptian riverhemp flower, a specialty of the Mekong Delta’s rice paddies, which is placed at the bottom of the bowl. 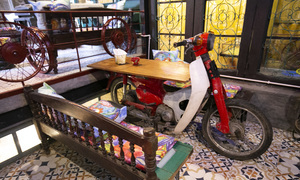 Bun mam is another delta specialty that originated in Cambodia. However, instead of the Khmer prahok sauce (crushed, salted fermented mudfish sauce), bun mam is cooked with sauce made from moustached danio or snakeskin gourami. So the aroma isn’t as strong and it is easier to eat. For the dish to be considered good, the broth has to be brown but clear and retain the sweetness of the fish. Usually added to the bowl are seafood such as shrimp and squid, meat and vegetables like shredded water spinach, chopped banana flower, bean sprout, and fish mint. Bun nuoc leo is often confused with bun mam as both dishes’ broth are cooked with the same type of fermented fish sauce. However, there are some differences between them. 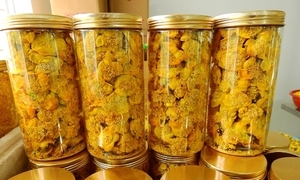 Apart from the fermented fish sauce, people also spice to the broth finger root plants, to neutralize the fishy smell of the sauce and add fragrance, and coconut water, to further sweetening. 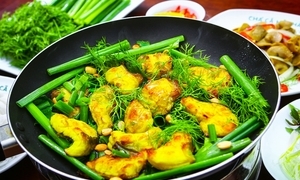 The most popular version of this dish is those from Soc Trang. 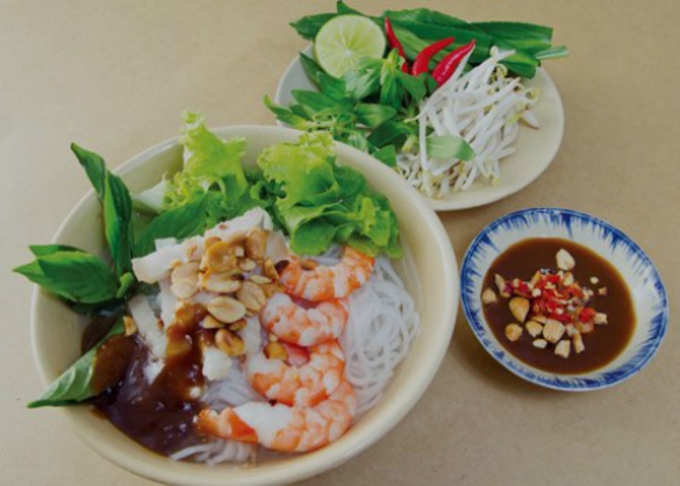 A bowl of bun nuoc leo usually has snakehead fish fillets, whole shrimp, roasted pork with vegetables, including shredded water spinach, chopped banana flowers and bean sprouts. 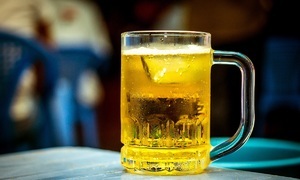 Visitors can add chilly or lime juice to taste. Another popular dish from Soc Trang. It’s said that this dish was originally a spring roll with the usual ingredients like shrimp, vermicelli, fresh vegetables and herbs and bean sprouts. Then people started to put all these ingredients into a bowl, mix them with dipping sauce and have kept it that way until now. The buttery taste of the pork and the sweet, fresh taste and crunchiness of the shrimp, when combined with the fragrance of fresh herbs and vegetables and sour tamarind sauce, become an exquisite harmony. 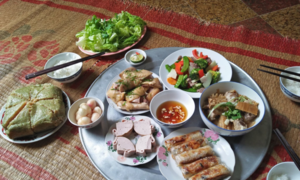 Bun ken is a common dish at family meals in Kien Giang. 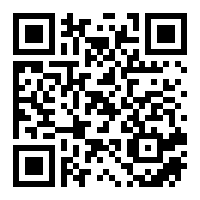 It is quite simple. 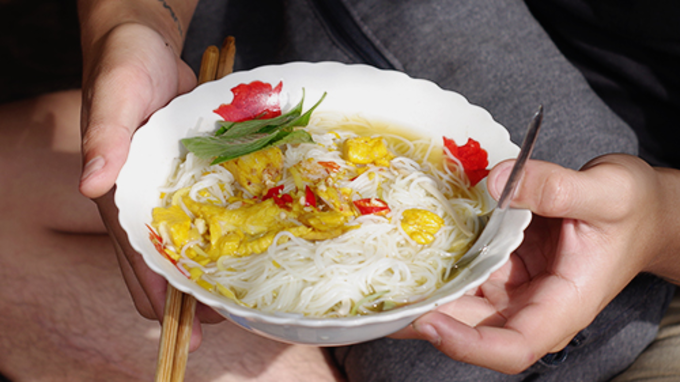 It only requires 3 ingredients: vermicelli, snakehead fish and fresh herbs. The fish, after being cooked, is minced and added to a pan with some lemongrass, chillies and garlic, and stir fried until it is dry and fluffy. Apart from the main ingredients, some fresh herbs, banana flower, cucumber, bean sprout, and shredded papaya are placed on top. One can add extra fish sauce or chilli and lime juice, according to their taste. 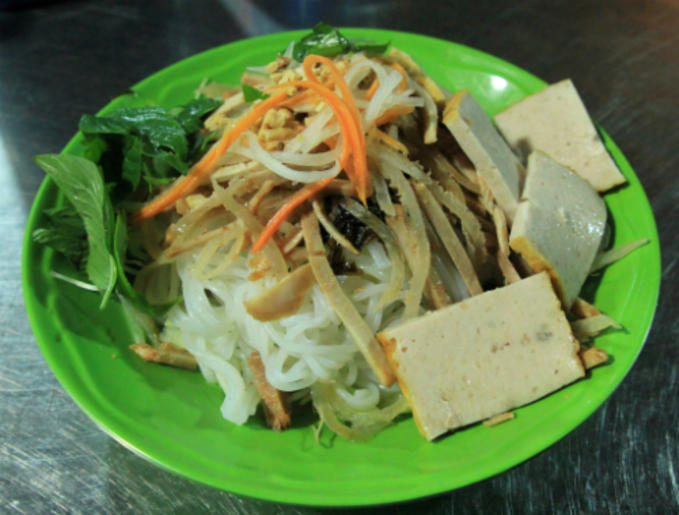 The price of a bowl of bun ken is around VND20,000 ($0.86) and it is usually sold in the morning for breakfast. The main ingredients in Tra Vinh’s bun suong are fresh vermicelli, whole shrimp, thinly cut pork slices, and, the most indispensable item, shrimp sausage. 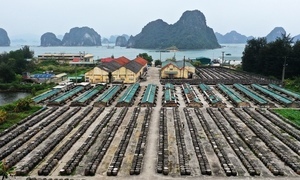 Locals also add bean sprouts, lettuce and shredded cabbage to enhance the taste. Unlike other dishes here, the dipping sauce for bun suong is hoisin sauce with chili. 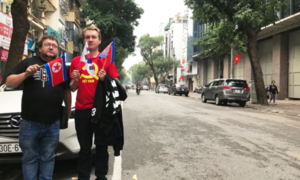 Since it does not contain fermented fish sauce, the flavor is not as strong as that of some others on this list, and so easier to eat. 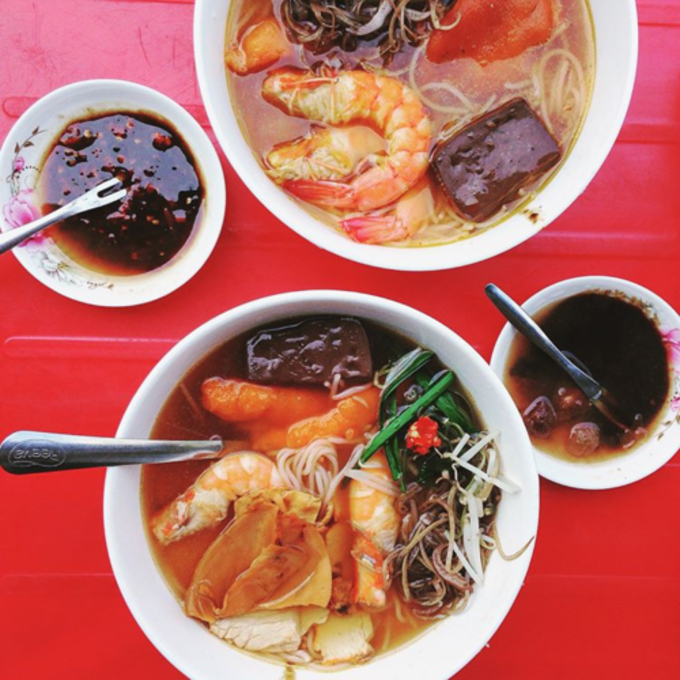 Bun nham is a must-try specialty when visiting Ha Tien town, Kien Giang Province. 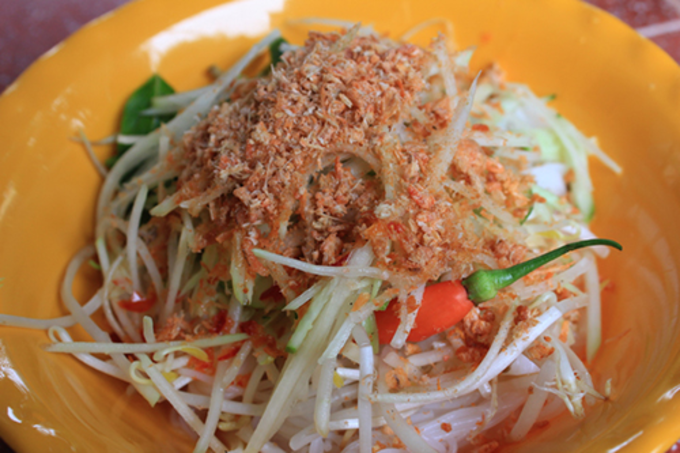 It is made from fresh vemicelli, shredded green papaya, minced dry shrimp, bean sprout, and cucumber. What gives this dish its unique taste is the dipping sauce of fish sauce mixed with coconut milk. Together they cover the gamut of flavors: salty minced dry shrimp and fish sauce, sweet and buttery cocunut milk, sour green papaya, and fresh bean sprout and cucumber. With a little pungency from chillies, bun nham is complete. 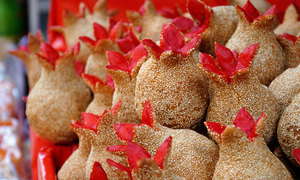 Since it is a popular breakfast dish, bun bi comes in many variations around the delta. 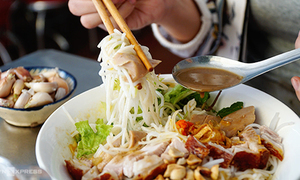 In Ca Mau, the dish is popular thanks to its noodles, which are thicker and more chewy. The noodles are eaten with bi (a combination of shredded pork and pork skin) and pork sausage. The success of the dish lies in the tastiness of the bi, hence the name. The meat chosen must be pork leg, marinated evenly and cooked until it is fragnant. Besides, the bean sprouts, herbs and chopped cucumber have to be fresh. The dish then becomes perfect with a little bit of scallion and oil garnish and crushed roasted peanuts. 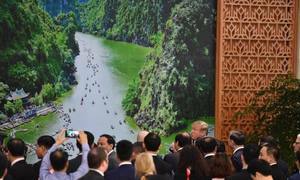 A bowl of the dishes costs VND15,000 – 25,000 ($0.64 – 1.07).